If you were considering moving house but have now decided to stay, then the addition of a bifold door is one of the ways you can really add value to your property. If you intend selling your house in the near future then a bifold door has been shown to be one of the foremost selling points which attracts buyers when looking for a new house. 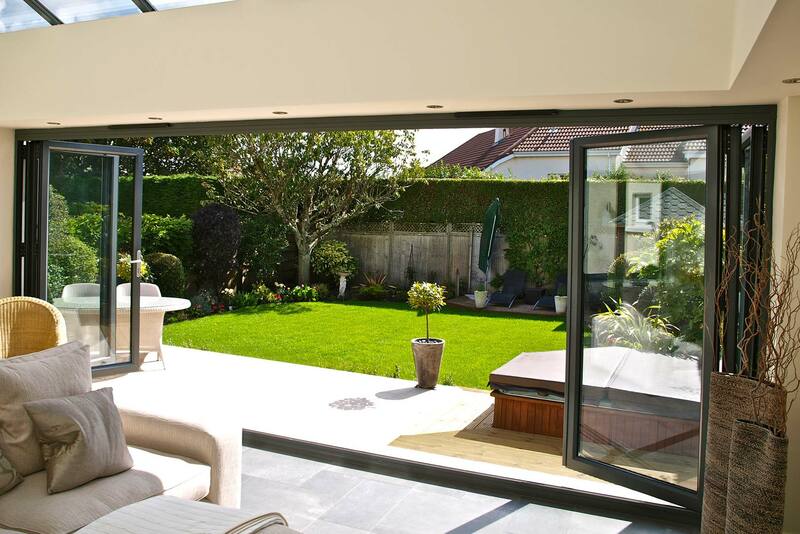 The best move you could make is to chose Camberley Glass and Windows when seeking a new bifold door. We are a local company who have been providing glazing services to the people of Chertsey and the surrounding area for almost 50 years. We are justly proud of our record over that time as a trusted local company and are eager to put our experience at your disposal. Our professional staff, who are all who are fully qualified and FENSA registered, can advise you and we can help you through the whole process of planning and survey. We can then give you a competitive quote for the job and install your bifold door expertly and efficiently. Most of our business come through personal recommendation and you can see what our clients think of our service on the testimonials page of our website. We also have high ratings for all the criteria on Checkatrade and are a trusted trader on the Buckinghamshire and Surrey Trading Standards Approved list of traders. If you are interested in purchasing a bifold door why not come to our showroom at our offices in Camberley, Surrey where you can look around our display of bifold doors and try them out. You can also take some brochures and, if you wish, chat to our knowledgeable staff about your requirements.